After a traditional Indian welcome by company representative at Indira Gandhi International Airport, Delhi you will be escorted to your hotel for leisurely night stay. 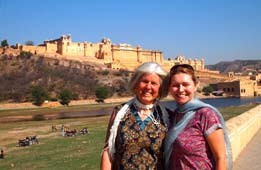 After breakfast enjoy a combined sightseeing trip of Old and New Delhi. The metropolis city of Delhi is one of the most morden and fastest growing cities in India. 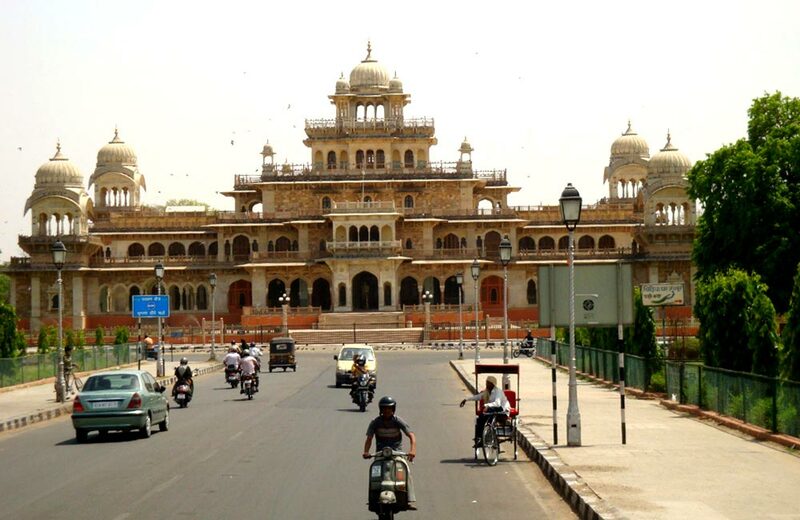 The new part of city is known for its wide spread boulevards and greenery whereas on the other hand old Delhi offers the charm of old civilization in its crowded bazaars, narrow streets and monuments. 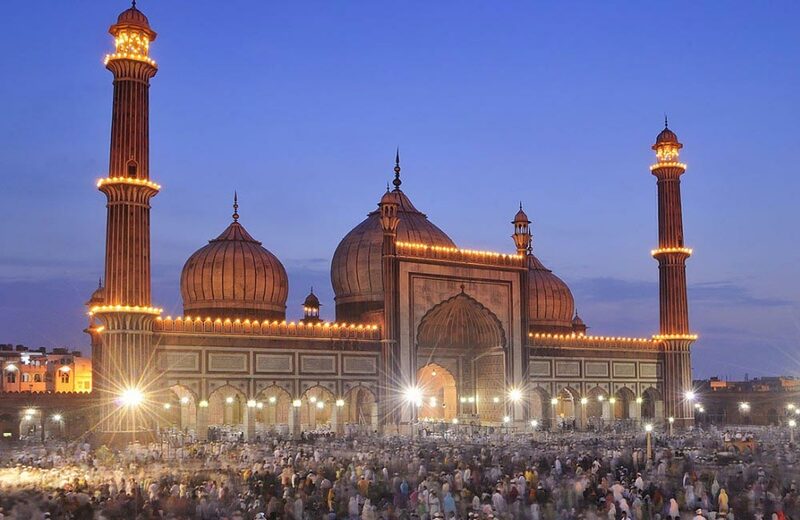 Start your tour with a visit to Jama Masjid (one of the largest mosque of India), Moonlight Square of Chandni Chowk and Raj Ghat (The cremation ground of Mahatma Gandhi). 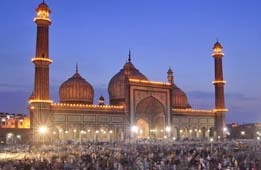 To explore the beauty of old Delhi in its full, take a short cycle rickshaw ride into the busy markets near the Jama Masjid. After this we wil move to the most beautiful part of Delhi designed and constructed by the Britishers during thier regime. Drive past through the War memorial of India Gate, President’s Palace and many other Govt. building. Since this is VVIP area, it may be difficult for the driver and guide to stop the vehicle here, but if possible ask them to take a drive close to the Palace where you can get off to click some beautiful pictures in your camera. Later visit Qutub Minar – the tallest concrete structure in India with 73 meter height, Tomb of Mughal Emperor Humayun and Lotus Temple (Bahai’s Temple). 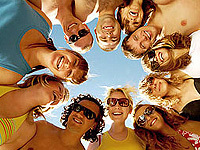 After completing the sightseeing tour come back to your hotel to relax and stay for the overnight. 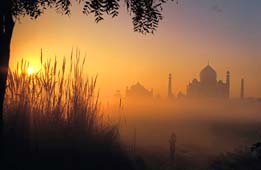 On our Golden Triangle tour we are today moving to Agra the city of beautiful Taj Mahal. We drive through the newly built express highway which connects Delhi and Agra with a 03 hours smooth drive. Upon arrival check into your hotel. After wash and change, meet in the lobby of the hotel and drive to Taj Mahal. On reaching the parking area you will be provided with a ‘Tonga’ ride upto Taj Mahal. Ths beautiful white marble monument is listed as ‘World Heritage Site’ and also a ‘wonders of the world‘. 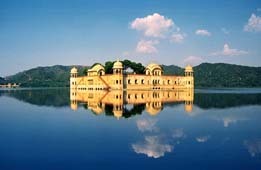 It was built by Shah Jahan in the sweet memories of his wife. The guide will brief you about the monuemnt and will allow you some time to explore the beauty of the monument on your own and capturing it in your camera. 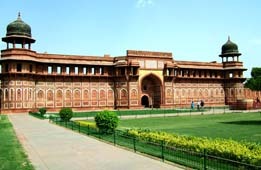 After visiting Taj Mahal, head to Agra Fort which is situated on the right bank of river Yamuna. 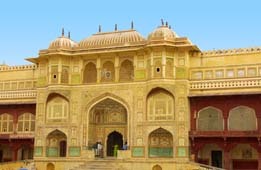 Shahjahan was kept under imprisonment here for 8 years by his sone Aurangzeb. Shah Jahan spent his last year watching Taj Mahal from the window of his room and remembering his beloved wife. 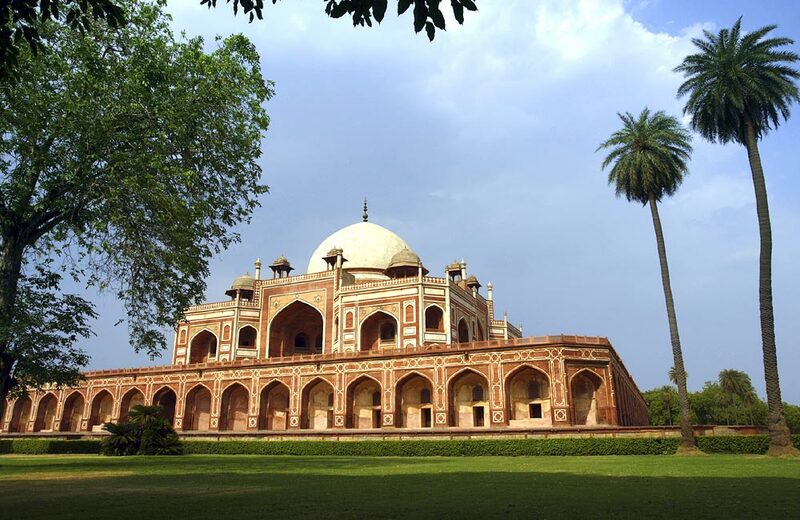 Also visit the Tomb of Itmad-U-Daulah. Also known as ‘Baby Taj’ this monument is situated on the left bank of the river. 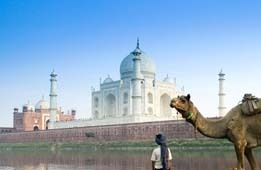 It is often regarded as a draft of Taj Mahal. Spend leisurely time in your hotel. After lavish breakfast we check out from our hotel and visit Fatehpur Sikri which is situated 30 kms out of Agra city. 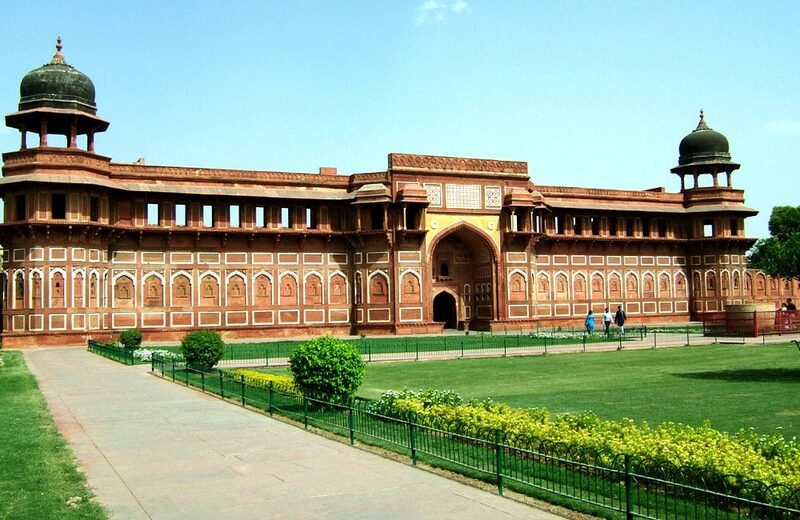 The forbidden city of Fatehpur Sikri is a great example of mix of Hindu, Persian and Mughal architecture. It served Mughals as thier capital for over a decade and then Mughal moved to Agra due to shortage of water near Fatehpur Sikri. From here, we will continbue our drive to Jaipur. Upon arrival in Jaipur, check into your hotel. 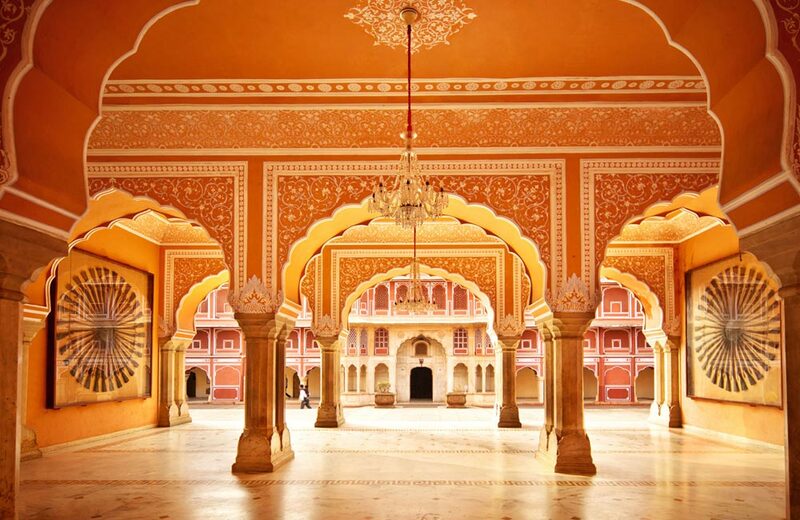 In the afternoon enjoy a guided visit of City Palace which is still a house for the royal family of Jaipur and a part of the palace has been converted into a museum. 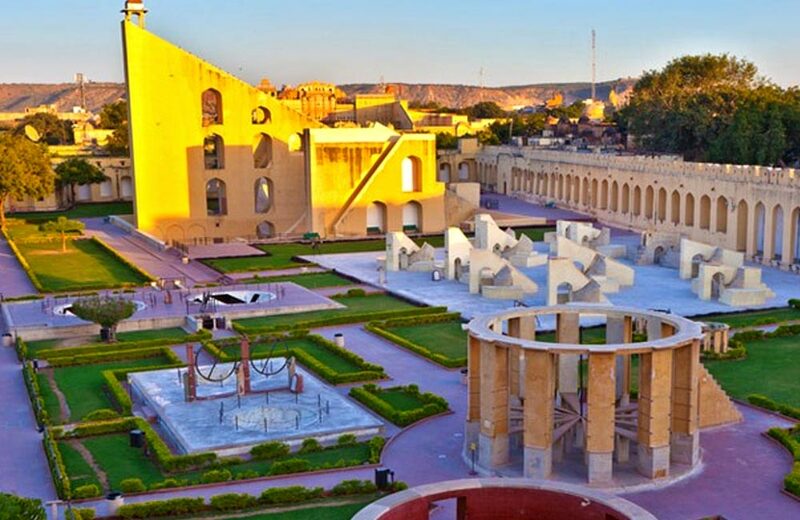 Also visit the largest observatory of Jantar Mantar and drive past through Hawa Mahal (Palace of Winds). While driving through the Palace of Winds we stop to take a cycle rickshaw ride into the busy streets of colourful bazaars. 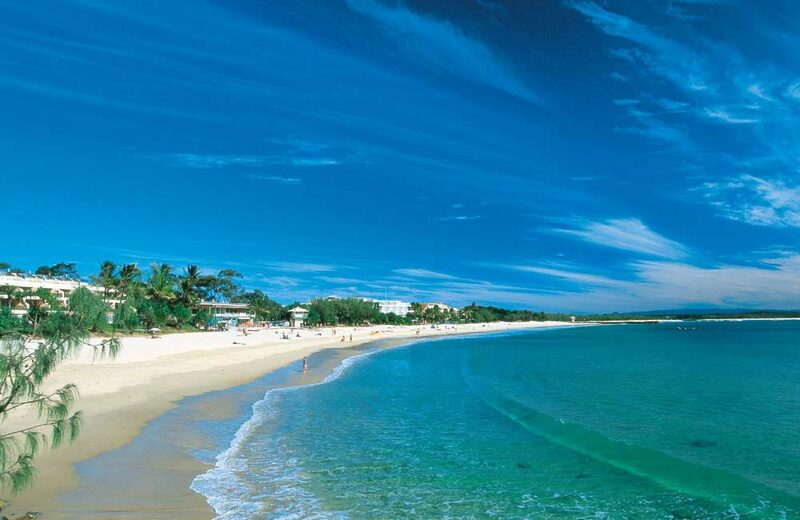 Leisurely evening and night stay will be at your hotel. The day starts with an excursion to massive Amer Fort. 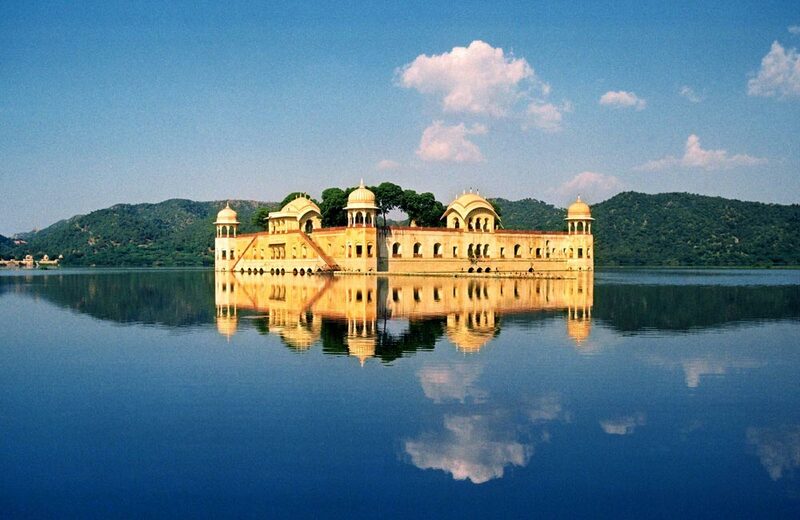 Situated on the top of Aravali hill and overlooking the Jaipur city, Amer was once the capital of Jaipur city. Take an elephant ride to reach on the top of the hill to visit the Amer palace. After Amer Fort visit the dashing Jaigarh Fort which where one can see the world's largest canon on wheel displayed for visitors. In the afternoon visit Jantar Mantar Observatory and and City Palace museum which covers a large area divided into a series of courtyards, gardens and buildings. 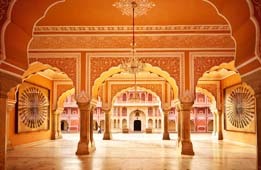 A part of this palace is a now a museum, containing three wings of Armory, Textiles and Artifacts. 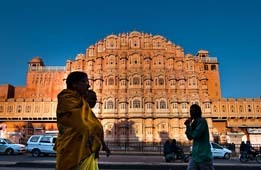 While driving through Hawa Mahal, stop here to see the monument and do some photography. Evening is at leisure to explore the local vicinity at your own. 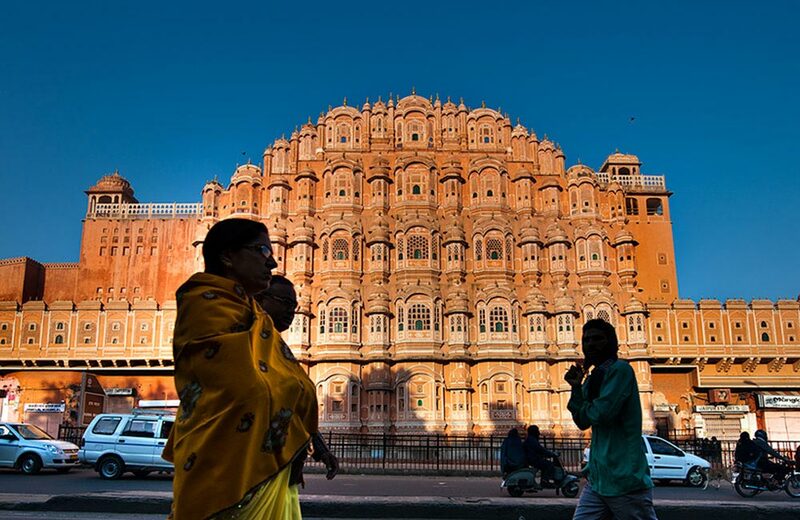 Jaipur offers the world famous handicrafts, silver and gold jewellery, precious and semi-precious stones, beads and jewellery, blue pottery products, carpets and textiles which are the most preferred ethnic items by visitors. 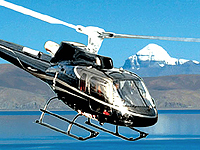 Following your breakfast you will be transferred to Jaipur airport to boiard your flight to Cochin ex Mumbai. Upon arrival at Cochin meet with our representative for an assisted transfer to your hotel. 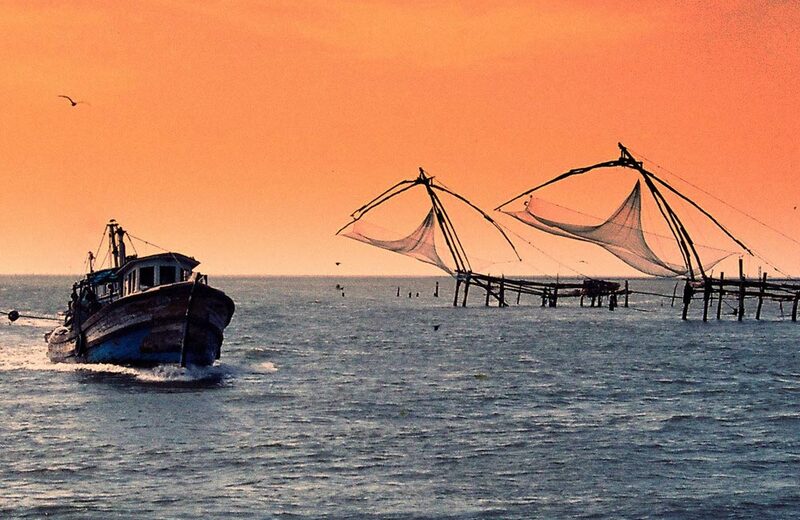 One of the finest known harbour in the world, Cochin is the business capital of the state of Kerala and the major gateway to the enchanting backwaters of Kerala. 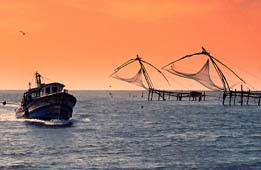 Popularly known as the ‘Queen of Arabian Sea’ the city is comprised of a group of islands scattered along the Vembanad Lake. 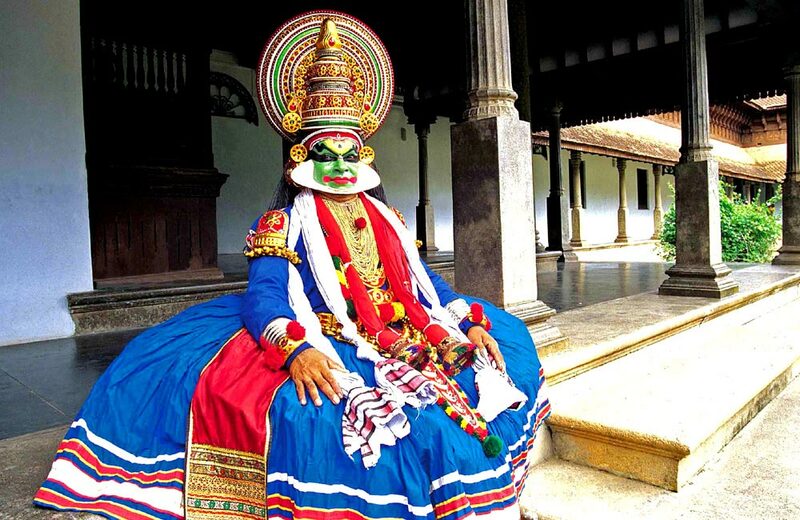 Cochin displays an interesting mixture of Portuguese, Jewish, English, French, Dutch and Chinese culture in its buildings and monuments. 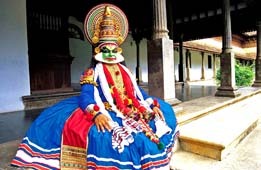 Enjoy a half day guided tour of Cochin visiting St. Francis Church, Dutch Palace and Chinese finishing Nets. 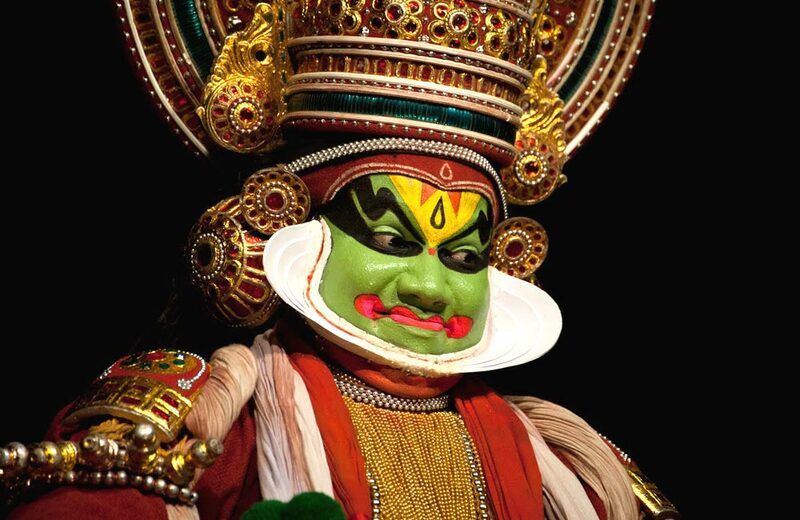 Later in the late afternoon visit the dance centre to see live Kathakali dance performances. 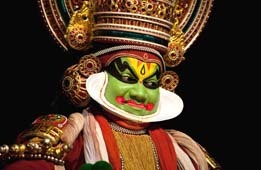 Combining dance, drama, music, painting and literature, Kathakali is a special dance art form of Kerala and South India. We will reach early to the theater to see the artists preparing themselves for the show. The elaborate make-up of the performers is an interesting feature of this dance form. After seeing the performance we will have time to take some photographs with the artists with thier colourful costumes and make-up. Drive back to the hotel for night stay in Cochin. 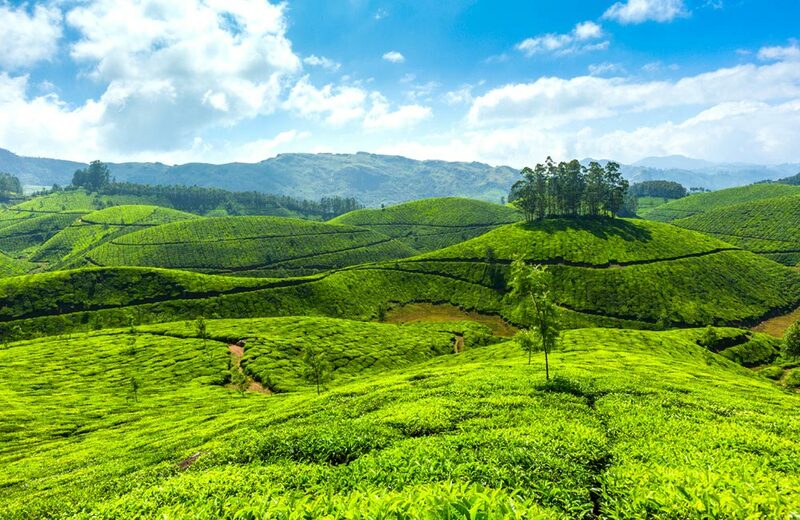 After breakfast we drive to Munnar trhe beautiful hill station of Kerala famous for lush tea and spice plantation. Visit some beautiful sites near Munnar including Muttupetty dairy farm, Tea Coffee and Spice plantation at Pothemedu and Devikulam the idyllic hill station with its velvet lawns and exotic flora and fauna. We spend some time walking in the tea plantation and then come back to our hotel for the night stay. After breakfast, we will drive to Alleppey to embark on a memorable journey of Kerala houseboat. 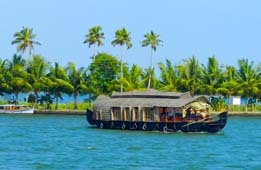 As we reach Allepey we check into our comfortable fully furnished backwater houseboat. 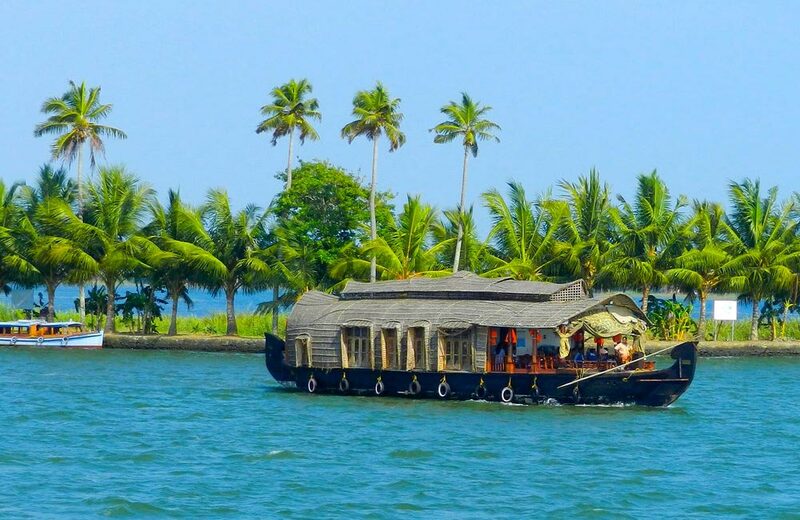 As the houseboat flags off from the port we travel through the the rich and splendid backwaters of Alleppey crusing along the village sides and paddy fields witnessing the core life of the Kerala villages for the whole day. All meals, tea/coffee and night stay will be on our houseboat. After sunset the houseboat will be hooked at the corner for the night. As we sail on the backwaters of Kerala we watch the beautiful sunrise, hear chirping of the birds and witness the life of the villages along the water. We have arrived at Kumarakom where we will disembark after leisurely breakfast. Kumarakom houses the most beautiful landscapes and beaches of Kerala backwaters and staying here for a couple of night is going to be an awe-inspiring experience. 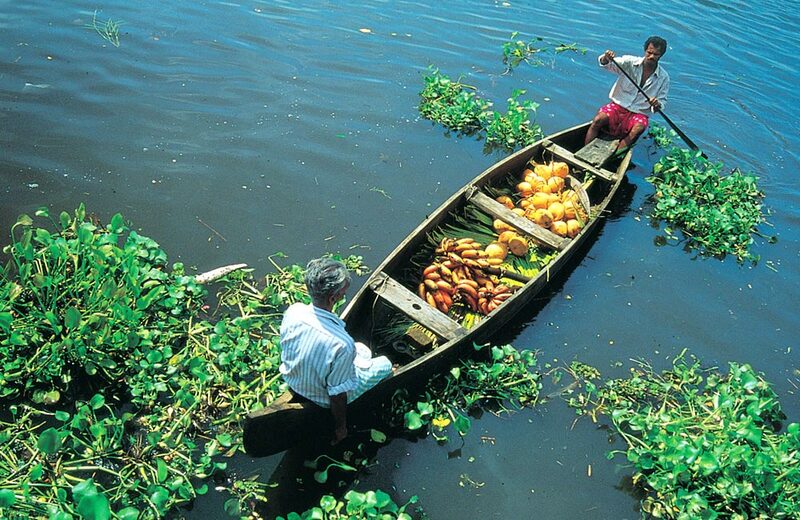 Check into your resort and then take a short trip to the bird sanctuary at Kumarakom. 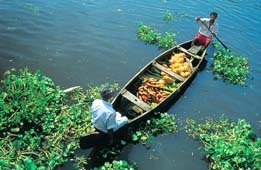 Night stay will be in the kerala backwater resort. A leisurely day at Kumarakom. Following a a leisurely breakfast, we will check out from the hotel and trasnfer to the Cochin airprot to board your onward flight. 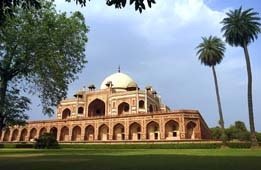 Sightseeing of Delhi the historical & cultural capital of India.